Teamwork triumphs in Toronto. The theme of collaboration between start-ups and the big players dominated day one of Mobey Day. While some in the fintech industry say they’re disruptive, it seems that’s no longer true as they all look to work together. 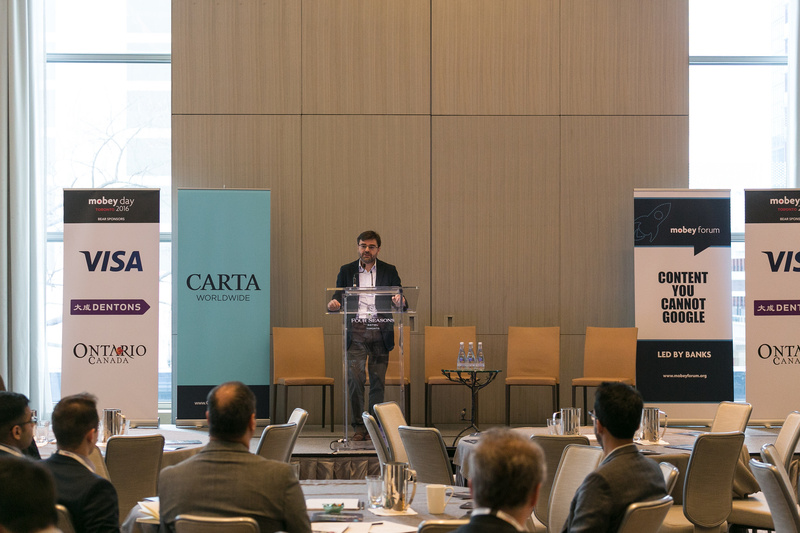 At yesterday’s (7 December) sessions at the elegant Four Seasons Hotel in Toronto, around 300 attendees listen to presentations and panels on the themes of “innovation and integration”. It’s all organised by Mobey Forum, a non-profit organisation to promote mobile finserv. Throughout the panel debates, all speakers played it safe and a common message was that the market is big enough for all to collaborate. Let’s face it, North America is saying the same thing as in Europe and Asia. There were presentations by TransferWise, Visa, Trov, SecureKey and Danske Bank, which were smooth and interesting. Kasper Sylvest from Danske discussed Denmark and where 85% have smartphones and 14% of the population are aged 14 or under. Lots of potential there in my opinion, but as Sylvest indicates in comments below, the message “was not about opportunities for young people. The number is used to define the theoretical target group of MobilePay users in Denmark”. Sylvest also revealed that the bank’s MobilePay, which swiped Swipp’s clients, will become a new company separate from Danske. On a panel examining cross border payments, Alexander Peh, from PayPal Canada, was sceptical about blockchain. In fact, I met Peh on Tuesday (6 December), as part of a fintech tour of Toronto, given to the international media by Canada’s Ministry of Economic Development and Growth (MEDG). As with all events, Twitter was kept busy with updates and comments. And one person got the most attention on the #MobeyDay hashtag. 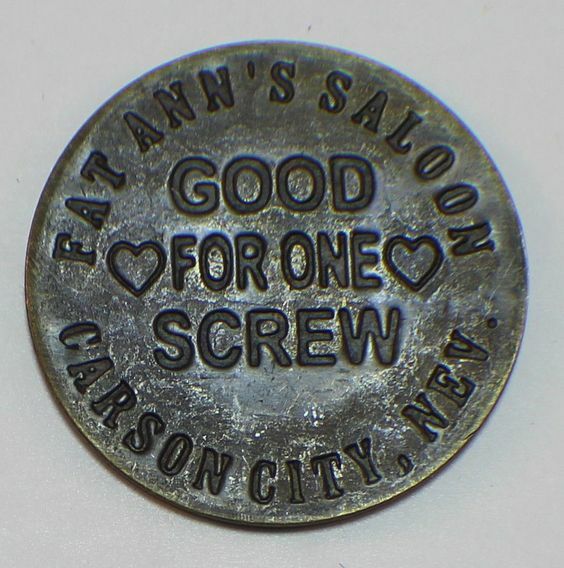 Giles Sutherland from Carta Worldwide, discussed “delivering value added services” – and showed that smart tokens have been around for a while… with an old token used at Fat Ann’s brothel. It went down well. And for Twitter it seems too many tweets don’t spoil the broth(el). One panel looked at “burning questions and hot answers”. One opinion, which often crops up at events, is that not much will change in the next two to three years in fintech. The moderator asked about an Apple bank or working with them – and Tom Pawelkiewicz, from Scotiabank, was very clear. He says it’s a “nightmare scenario and we wouldn’t like that” and the idea of a global third party bank being “the centre of the universe” is not something he wants. Pawelkiewicz adds that his preferred scenario is to partner with fintechs. This session was promoted as one for open and direct debate. That was not the case. When Banking Technology asked about the dark side of digital banking’s drive and all the job cuts, some answered, one didn’t. Ranjit Sarai from President’s Choice Financial, a Toronto-based banking service, says job cuts in all industries “have been going on for hundreds of years”. It’s not limited to banking, but he does say the “shift will be messy and painful”. Pawelkiewicz didn’t answer the question. I often wonder if I’m in the right job or industry. What’s the point of journalists being invited if they can’t get answers to simple questions? The fintech industry is certainly all about collaboration. No more disruption, just everyone keeping it silky smooth and safe. That’s dangerous – as that’s heading to cartel territory. Elsewhere, the rest of the day went well. A “wallet veterans” panel shared stories and compared “scars”. The moderator, Kristian Sorensen from consulting firm Norfico, did a great job of keeping it lively. He also made a good point that this session could be “therapeutic”. It probably was. The panel were open and gave some good anecdotes. But ultimately, we all know it really – you learn from your mistakes. The Mobey Forum has been around a while. It was founded in 2000 and its board of directors, of whom two thirds are “always associated with banks”, include CaixaBank, DNB, ING, HSBC, UBS, Nordea, Scotia Bank, Erste Group Bank, Nets, Danske Bank, Giesecke & Devrient and Post Finance. There are no vendors and exhibition stands at Mobey Day. And at this Toronto event, there were no polls or surveys for audience interaction. Not a problem, just an observation. There will be a review of today’s second round (8 December), which will be published tomorrow (9 December). Swift's annual event, Sibos, was last held in Toronto in 2011, so many delegates will already have explored the city and know what’s in store. But for those who have yet to visit, read on. A new exchange is planning to begin trading in March, with a platform focused on long-term investors and issuers. Chief executive Jos Schmitt says the new venue has some unusual features which should help keep unwanted high-frequency traders at bay.